The second of today’s matches would determine who would continue on to tonight’s playoffs, so of course, it went the distance. 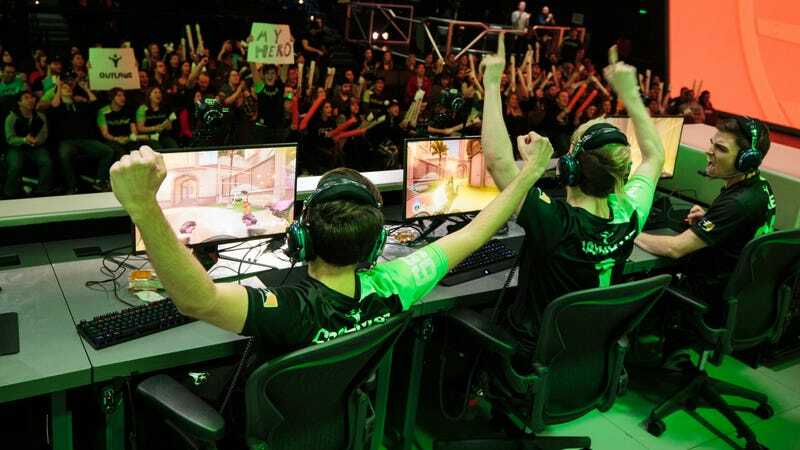 The Houston Outlaws and the Boston Uprising seemed to match each other blow-for-blow, all the way to map five, round three, each determined to shape the playoffs to come. Because of tiebreaker rules, Boston needed to end the game at 4-0 or 3-1 to stay in the playoff conversation. Houston, meanwhile, just needed to win. Any amount of maps would do, so long as the Outlaws secured that coveted third win. The series wound all the way to 2-1, and on the fourth map, Houston spoiled Boston’s playoff aspirations. At 2-2, there was no way for Boston to make the playoffs. Even if the Uprising won the match, it would tie with the Los Angeles Valiant and lose the spot thanks to map differential. So as map 5 kicked off, Houston was fighting for their own chances, while Boston was given a chance to spoil their playoff deniers. Each team took a round, with players like Jonathan “DreamKazper” Sanchez and Jiri “LiNkzr” Masalin coming up big for their respective teams. Pushed to the final round on Lijiang Tower, the fight for the control point became a frenetic mosh pit. Every player was trying to be the hero, making the plays that would either secure their spot or spoil their opponent. Emotions were high. Jacob “Jake” Lyon got a little taunt in after holding down the point. At 99 percent, the overtime bar popped up and Boston made its last-ditch effort to stop Houston. Houston Outlaws secured their playoff berth at 3-2, and will look to take on the London Spitfire, a team it beat 3-1 just a few days ago. The action continues into the night over on the Overwatch League Twitch channel, with that first playoff match scheduled to start at 8 p.m. ET and the final at 10 p.m. ET.